China's two internet giants, Baidu and Sina, have announced a partnership to share mobile search results and content between their platforms. Baidu is the country's main search engine, and Sina runs Sina Weibo, China's most popular Twitter-like micro-blogging social network service. The deal highlights a focus on mobile. Sina plans to integrate Baidu search into its mobile site. 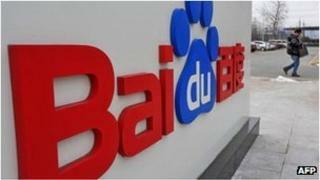 Baidu will have a cloud service, which stores data on the internet, with preinstalled Weibo app. The companies also plan to work together to offer users a "better, richer mobile browsing experience". Duncan Clark, chairman of consultancy BDA China, told the BBC that the deal was a win-win for both companies. "Anything that extends the network effect of users and deepens the pool of content is a plus," he said. "Sina's Weibo is such an important source now of content - it's really the pulse of the nation - that for Baidu being able to index the content and make it accessible to users is a fairly important way of keeping its edge in search. "The smaller screen size of mobiles compared to desktop computers and laptops is a challenge. But innovations in location-based and community functions might unlock the potential." At the end of 2011, China became the world's biggest mobile market. And in May 2012, Sina Weibo said the majority of its 300 million users were on mobile devices and not on PCs. Also in May, Baidu, which has an almost 80% share of China's online search market, made its first move into the mobile market by releasing a low-cost smartphone. Baidu boss Robin Li said mobile would "become a very important channel to distribute our products". "During the coming year, mobile will represent an ever larger percentage of our total traffic," he added.